Off the shelf, precast concrete products are simply selected with predetermined properties, usually comprising small units such as paving, posts and blocks. Most large precast elements are made to order, either uniquely bespoke or as part of a system with defined parameters. 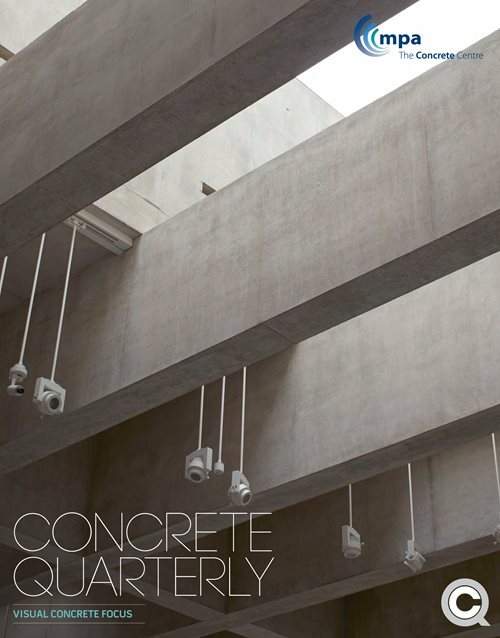 ‘Architectural precast’ is uniquely bespoke and intended to be on view, with high degrees of control and replication possible through factory based processes. Specialist manufacturers offer samples for reference within specifications, utilising a wide range of combinations of aggregates, pigments and finishing techniques. Cladding is a common use for these products but other bespoke structural elements are also manufactured. A wide range of colour and texture are offered, often with mixes developed to mimic stone -hence the term ‘Recon’ or ‘Reconstituted stone’. Texture is achieved by casting against pattern formliners and/or through post finishing techniques. The typical acid etch or light grit blast finish gives a slightly gritty texture but a heavier shot blast or tooled finish is possible to increase the roughness through mechanical abrasion. Alternative ways to expose course aggregates include use of surface retardant, or through polishing for a smooth sheen. Most ‘Structural precast’ is not intended to be exposed, but good aesthetics results are achievable. Structural precast is usually made to order, with some properties predetermined by the method system of manufacture. E.g. Hollow core floors of a standard width and depth. Colours are typically limited to shades of grey, depending upon established sources of raw material, and with either a matt or satin sheen ‘as struck’ texture and in this regard the finish achieved is similar to cast insitu concrete, except that it is cast face down. The standard of finish should be established pre-tender in discussion with manufacturers as it will inform practices for manufacture, storage and handling to suit a visual concrete product. Concrete bricks and blocks offer proprietary solutions for achieving visual concrete walls. A wide range of colours and textures are available ranging from polished to heavily rustic, many of which are designed to mimic natural stone.